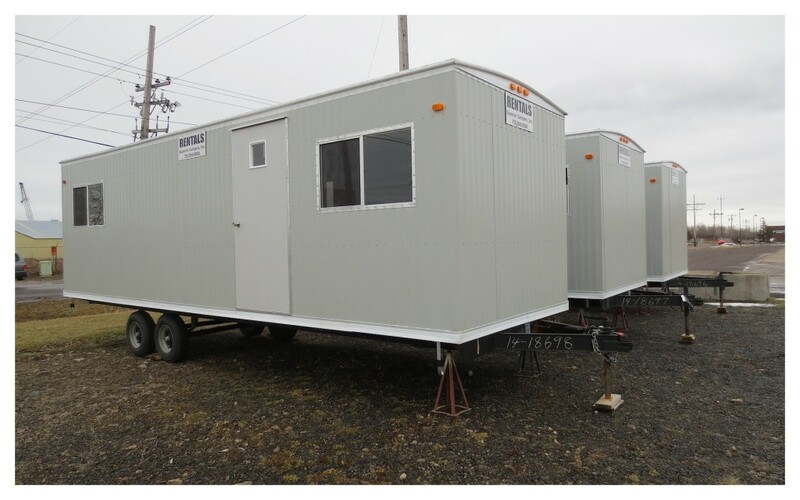 We offer mobile office trailer rental to all of northern Wisconsin, and Minnesota. Delivery and setup is available, please call for currently available floor plans, and rental cost. 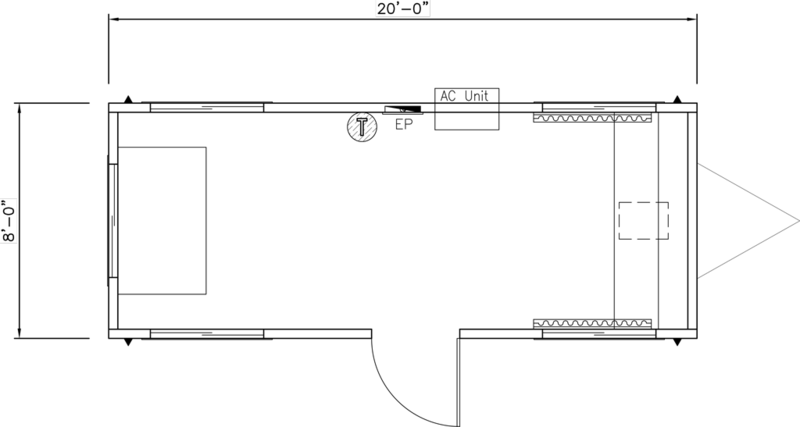 Sizes available from 8X20-8X32 with multiple floor plans to suit your needs. Whether it is a 3 day rental for a special event or a multi-year rental we will be more than happy to give you a competitive quote, and fast delivery to your job site. Call today, 715-394-5000. Great open floor plan for lunch rooms, to meeting rooms. Features a desk at each end and a flip up drafting table in the middle. Like all of our units this has electric heat, and AC. Great for smaller work sites, open floor plan great for a break room, or a small open office. Features a drafting table, and a desk. Like all of our units this has electric heat, and AC. Front office, with a rear cold storage area with a roll up garage door. Features a drafting table, and a desk. Like all of our units this has electric heat, and AC. Great floor plan for when you need two separate office spaces. Features a desk at each end and a flip up drafting table in the front larger office. Like all of our units this has electric heat, and AC.